Craving something sweet? Love to bake but hate the way it affects your waist line? Looking for a healthier alternative to refined sugar? If you answered yes to any of the questions above, there is a slightly healthier alternative to refined sugar. The science is still out on coconut sugar (it is still sugar, after all) but the initial findings look good. 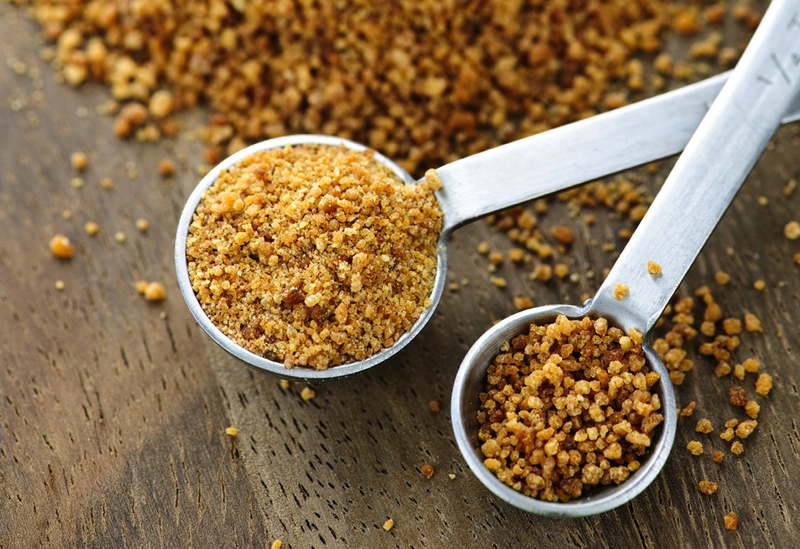 Nutrient Dense: Coconut sugar is a rich source of potassium, magnesium, zinc and iron. These minerals provide much needed support for the body, including a strong immune system, healthy cellular function and more. Coconut sugar also contains 16 amino acids as well as B vitamins, helping energize the body while supporting a strong metabolic system. Keep Blood Sugar Balanced: Because coconut sugar has a glycemic index of 35, using this sweetener instead of refined sugar (which spikes your blood sugar with its 60 glycemic rating) keeps you blood sugar stable, which helps prevent energy crashes as well as sugar cravings. Little Processing: To get coconut sugar in its granular form, the coconut flower nectar is taken from the tree and dried. That’s all! This means less processing and more sustainability, benefiting both your body and the environment. Simple Substitute: Many baking and cooking alternative require quite a bit of experimentation. With coconut sugar, the substitute ratio is actually 1:1, so rather than experimenting with how much coconut sugar equals refined sugar in recipes, you’ve got a straight forward swap. For additional, personalized support and information related to clean eating, balanced nutrition, and healthy lifestyle, visit Eat Clean Health or reach out to Jodi directly. Be sure take a to look at the variety of nutrition plans, programs, detoxes and meal plans offered at Eat Clean Health and don’t forget to sign up for the Eat Clean Health monthly newsletter. Categories: Dessert, Nutrition | Tags: clean eating, coconut sugar, health benefits of coconut sugar, healthy eating, sweet substitutions | Permalink.